One of the most important things you can do to help your baby get to sleep is establish a daily routine. You should start this the day your baby comes home from the hospital! A bedtime routine has two parts: a schedule specifying the times of day that you put your baby to bed, and a series of events that you go through every time before doing so. Since our main goal is to get a baby to sleep through the night, we’ll focus on the nighttime routine. Why Establish a Bedtime Routine? 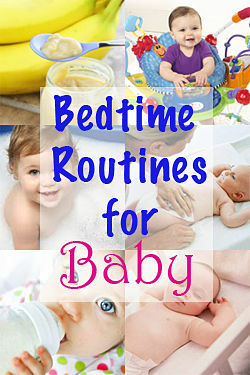 Establishing a bedtime routine for your baby early on has many, many advantages. It helps you plan your day and evening. It saves time. It helps you to remember to do everything, like put on a night-time diaper. A good routine also teaches your baby that certain events will be followed by him or her going to bed. It’s a subtle reminder that this isn’t just a nap, this is the big sleep overnight. In time, you’ll find that a sleep routine relaxes your baby and prepares him, physically and mentally, to fall asleep. Do it right, and he’ll usually be asleep the moment you put him in bed. It might surprise you to learn that putting your baby to bed early can help him or her sleep longer. This seems counter-intuitive, I know, but it worked for my boys. It turned out that we were keeping them up until 8:30 or so, and they were ready for bed by 7:30. So start your baby bedtime routine early enough to have your baby ready for bed when the first signs of sleepiness show. See Benefits of an Early Bedtime for details. Here are the seven basic steps that you’ll probably follow when putting your baby to bed at night. This is optional, but a bath is a wonderful way to get your baby clean and relaxed. Make sure the water is the right temperature. If you use a little cloth-covered baby holder in the bathtub, splash it with warm water right before you put the baby in. If these things get wet, they become chilly and your baby won’t like it. See our article on 7 steps to the perfect baby bath. Your goal is to get the baby to eat as much as is comfortably possible. For most babies, the amount of food ingested is directly related to how long they’ll sleep afterward. For newborns, this is milk. If you’re not nursing, make sure the milk is nice and warm. Not lukewarm, but body-temperature warm. As soon as you can give your baby cereal, make that a part of the nightly routine. 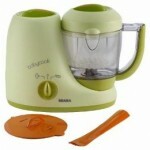 If your baby is old enough to start solid food, give that around dinnertime. Let it sit a bit, and then follow with a bottle. See my post on nighttime feeding for more. You will need to burp your baby thoroughly, to help prevent gas discomfort and nighttime spit-ups. Do this after solid food, too, since even spoon-fed babies can get bubbles in the tummy. If you’re having trouble getting a burp, or your infant seems to have some discomfort, see my post on helping babies with gas. The importance of diapers for sleep is something you might not fully appreciate. Usually, changing a baby right before feeding and burping is just fine, as long as it’s not noticeably wet or dirty. If you find that your baby often wakes up with a very wet diaper, look into Huggies Overnites . These have extra padding to wick away more moisture during the longer sleeping hours. We used them from size 3 to size 5. You should always change your baby into fresh clothes before bed, ideally nice soft pajamas with covered feet and long sleeves. Don’t put the baby to bed in day clothes. I highly recommend that you swaddle a newborn. If you aren’t going to swaddle, use a baby sleep sack or sleeping bag keeping him warm and snug. Avoid overheating your baby! At most, infants should have one more layer on than an adult might to feel comfortable. See my guide to what a newborn should sleep in. This is the winding-down time just before you put the baby to bed. Rocking the baby in your arms or a rocking chair is a great soothing technique. You might also try reading to your baby, a great habit to get into. 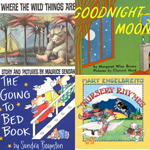 See our list of favorite baby bedtime books for some suggestions of short but soothing night-night reads. A good, clean pacifier should be part of the routine. Keep a couple of extras in the bed in case you need to find one in the dark. I was surprised to learn that pacifiers are recommended by pediatricians to protect against SIDS. Once your baby is asleep, you don’t have to stick the pacifier back in if it falls out. 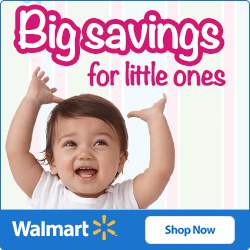 See also our recommendations of the best baby pacifiers. The room should be dark, with the possible exception of a night light. The bed should be empty of extraneous blankets, stuffed animals, clothes, etc. Turn on a soother or sound machine to help your baby relax. Put him in, make sure his blanket is secure, and leave the room. Note, it’s advisable that you put your baby to bed while he or she is still awake. This teaches your baby to soothe himself to sleep, so that he can fall asleep on his own. It is critical that you set a pattern and stick to it as much as possible. The bath-bottle-bed routine is a classic, and it works because it trains your baby that when those things are done, it’s time to go to sleep. Once the baby is settled and asleep, it’s probably a good time to hit the sack yourself. You hear this bit of advice over and over: when they sleep, you sleep. If you like this article, you might want to subscribe by e-mail or RSS so that you’re notified when new content is posted. 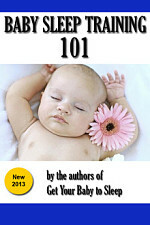 Also, check out our comprehensive e-book, Baby Sleep Training 101.